Already needing a beginning of year holiday? Watch this 1 minute video to discover 2 tips to help you stay BRAIN FIT and manage the weeks to come in this new year. When it comes to personal development, we believe that it is essential to learn to function intuitively. We need to awaken our awareness and notice the way we think. We need to trust our instincts, but also get lots of input when making decisions. 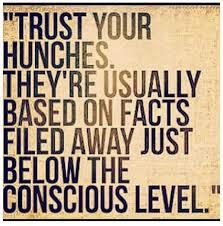 Using your intuition/sixth sense can also enable you to notice the way you think and act. Becoming more self-observant and self-reflecting is always extremely beneficial. When dealing with others, intuition makes you more empathetic and understanding of other people’s needs and issues. Intuition helps you identify and recognize untapped abilities. This is a good way to ignite (further) personal development, making it easier to set the right goals for yourself and to move confidently towards them as your inner sense nudges you in the right direction. Tapping into your intuition and acting in congruence with your inner knowing lifts your spirit and your energy and as a result you feel happier. Intuitive people are known for being more creative, often leading more fulfilled and successful lives. You intend to awaken your inner knowing, you’ve sharpened your five senses and now comes the active process; looking internally for answers to dilemmas or even looking internally for a creative spark. If you have a lot of internal dialogue, which creates too much thinking noise in your head, you may want to first use the back of your notebook to dump these top-of-mind issues. Get rid of your brain clutter. This can take up to three pages of notes. Write bullet points and phrases and literally dump your ideas, haphazardly is fine. The way this is written doesn’t need to make sense at all; it’s a simple decluttering activity. Sit back, in a relaxed, comfortable position, perhaps even in one of your favourite places in your house, garden or park and allow your thoughts to freewheel. Don’t critique or censor what comes to mind, write everything down … even seemingly unrelated thoughts. If you want to better understand intuition and trusting your gut, read the book called The Gift of Fear by Gavin De Becker. We go to sleep at night, sometimes frazzled, and often forget that when we wake up in the morning, we are able to choose how we feel at the start of our day. The minute you wake up, you can choose to make the most of your day or press the snooze button, roll over, pull the blankets over your head and dread what lies ahead. The way you start your day may influence how you feel for the rest of the day. Here are a few simple, but effective ways to kick-start your day. As you wake up in the morning, take one minute to check in with yourself. Find something that you’re grateful for: your children, your partner, your health, your warm bed, the trees and birds outside your window. Next, spend one minute breathing in a slow, controlled manner. Notice how your breath enters your body, notice how your breath leaves your body and notice the little pause between each breath. You’ll get tremendous return on investment from these two minutes. It will help you get into a good head space even before your feet touch the ground for the day. Lie on your back on your bedroom floor. This aligns your spine and helps ease lower-back strain. Think about an intention for your day and how this aligns to your day’s activities. Is your intention constructive conversations during a day of meetings, or is it going to be a fun day making space for creativity/innovative thinking? Pull one knee up (the other leg stays straight, on the floor) and hold for one minute, breathing energy into your body and repeating a phrase that reinforces your intention for the day. This can be something simple like: “constructive conversations” or “fun and creative.” Sayings like: “It is not happy people who are thankful; it is thankful people who are happy”; or “My happiness today will lead to success”; or other examples that come to mind. Repeat on the other leg for a minute. Lastly, hug both knees together for one minute. This doubles up as a self-hug. Feel the benefits in your lower back, as your stretch out in a wonderful way before the start of your day. If you use your cell phone as an alarm clock, grab it right now and change your alarm for five or six minutes earlier tomorrow morning. Kick-start your day in a way that makes you feel in control, energized and boosts your self-esteem. 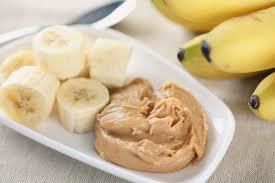 All good snacks give you more energy and hence more stamina. We love dips because they can be used either as a dip for crudités (cucumber strips, baby carrots, baby corn, mange tout, asparagus, celery sticks, cherry tomatoes, sweet pepper strips, tender stem broccoli, mushrooms, baby marrow strips), or they can be used as a spread on low-GI bread or crackers such as Ryvita or oat cakes. Besides, they are super-easy to make from scratch if you have a blender. Sure, you can buy some, but why not take just a few minutes to prepare your own when you are already preparing meals in your kitchen? 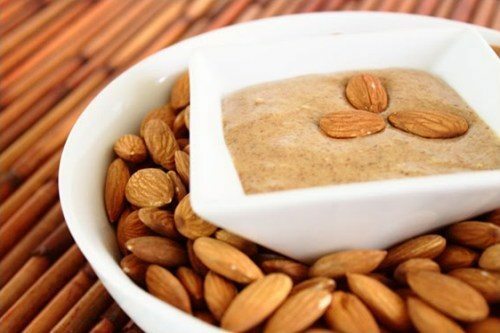 Whiz the following together: 1 tin (400 g) of chickpeas, drained; 4 Tbsp olive oil; 4 Tbsp lemon juice; 1 tsp (or more) crushed garlic; 4 Tbsp tahini or peanut butter; salt and pepper to taste. Finely chop and mix the following together: 4 ripe tomatoes; 1 red onion; 1 fresh chilli; a handful of fresh coriander; salt and pepper. Mash a ripe avocado with ½ onion, finely chopped. Add a handful of fresh coriander or mint, finely chopped. Season with salt, pepper and a squeeze of lemon juice. Drizzle the following with olive oil and roast until cooked (about 45 minutes at 220°C): 2 large aubergines, cubed; 1 medium sweet potato, cubed; 1 clove garlic, peeled; 1 onion, chopped. Allow to cool. Toss into a food processor or blender with a handful of fresh coriander. Blend till smooth. Season to taste. Note: Almost any vegetable that has been roasted (roasting brings out the natural flavours) can be blended and seasoned with spices or fresh herbs and used as an easy dip or spread. Beetroot and butternut work well. These dips and spreads will keep for up to a week in the refrigerator. Stick to 3 Tbsp per serving. As a potential new snack idea, try one or more of the dip recipes. Set yourself up for skinny dipping snacking success by keeping your refrigerator stocked with a selection of crudités for dipping. Intuition is knowing something without necessarily being able to explain how you came to the understanding rationally. It is that inner voice, that feeling that you just know. As children, we are less analytical and fearful, and tend to listen to our intuition. As we get older, life often becomes busier with loads of distractions and generally speaking we tend to lose our natural ability to tap into our sixth sense. 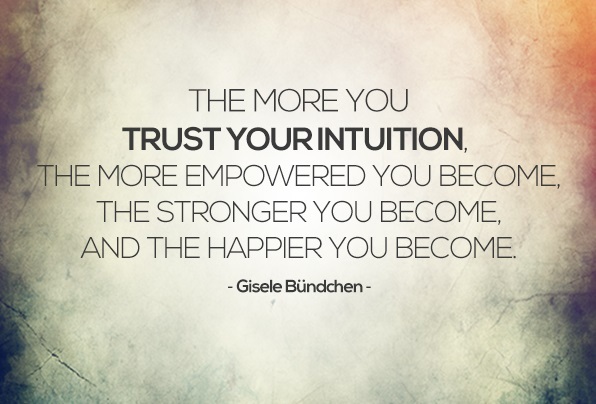 Do you listen to your inner voice and try to follow your gut instinct? 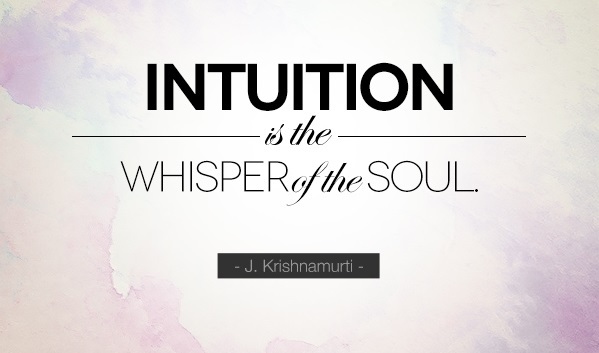 Does intuition play a role in your life? If not, it should. Intuition can help you recognize untapped abilities in all areas of your life. The good news is that intuition is a skill that can be re-awakened. Activating your gut feeling about things is just like exercising a dormant muscle: the more you use it, the stronger it gets. Have you ever experienced a eureka moment when solving a problem? You sit back and think to yourself: for the life of me I can’t explain how that popped into my head? That’s your intuition kicking into gear. We use all five senses every day, but how often do we mindfully focus on each sense? Find a quiet time to sit in front of a vase of roses. Of course, any fragrant flowers will do. Breathe deeply, relax and enjoy looking at the colours and shades of each flower petal, the stems, and the thorns. Close your eyes and recreate the image in your mind’s eye, smelling the sweet aroma. Breathe deeply and relax into your body. Open your eyes and touch the soft, satin petals. Take an outside petal from one of the roses and lightly rub it on your cheek. You may be in a quiet almost meditative state by now, a good time to actively tune into the sounds around you. Feel your feet on the floor and become aware of the sensations in your body. Continue to breathe deeply and relax into the moment. When we relax and quieten our mind, our true and authentic self is exposed. Our inner voice can only be heard when we slow down. By slowing down, our inner voice has room to come to the surface. Mindful eating. Try this focused activation of your senses before you start eating your meal. Sit with a plate of (hopefully) colourful, nutritious food in front of you. Close your eyes and recreate the image. Smell the food. If it’s a salad, take a piece of cucumber and feel the various textures of the rind, the flesh and the small pips. Slowly bite into it to taste the juice and the texture of the cucumber. 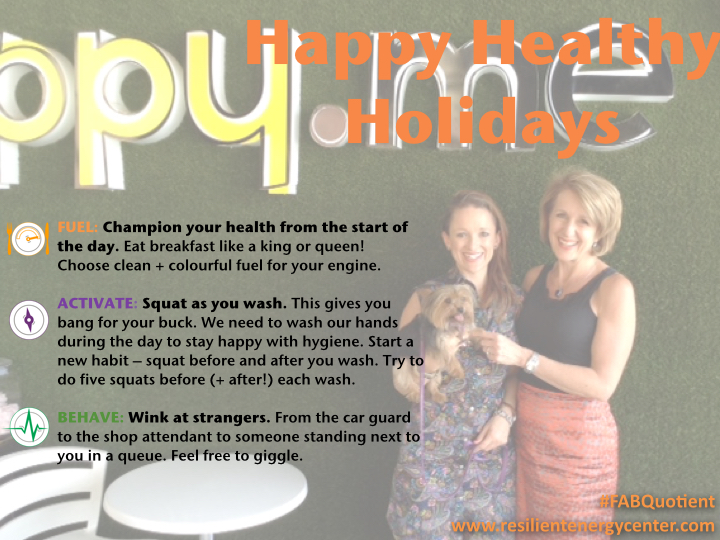 Combine this exercise with looking at your plate and soaking in a sense of gratitude before each tasty mouthful. If it’s good healthy food, using one of our recipes in the fuelling section of the book, be grateful for the food that is nourishing your body and your mind. This mindful eating practise may even help you eat what your body needs, as opposed to over-eating. Sharpening your five senses by looking at something beautiful or tasty will not only pave the way for your sixth sense, but will also have the secondary benefit of stimulating a sense of gratitude. 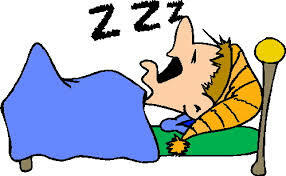 If your five senses are asleep, you can’t expect your sixth sense to wake up! Don’t move and take note of your posture right now as you read this. Are you slumped, shoulders curved forward, spine rounded? Or sitting up straight, with a tall spine and relaxed shoulders? How you sit may influence how you feel — not just in this moment, but throughout the day. Yet what we mostly see with humans are people slumped behind computers or crunched over with their chins to their chests using their smart devices. According to research conducted by Amy Cuddy changing your posture to a high-power pose affects hormone levels in your body leading to behavioural changes. What is a high-power pose? It is simply standing upright with your shoulders back and core activated, in a powerful I-know-what-I-know stance. The research has shown that people who maintained high-power poses experienced elevations in their testosterone levels with positive effect. (Both men and women have testosterone: the dominance hormone.) They also experienced decreases in cortisol, the stress hormone, and they reported an increased sense of power. 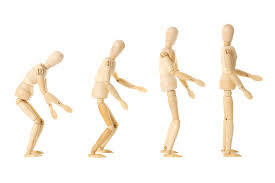 Low-power poses, such as slouching or looking down, exhibited a different pattern for all these measures. Testosterone levels and hence a sense of power were substantially lower, and the stress hormone cortisol was higher! When standing: power and confidence are non-verbally displayed through the use of height and space. Keep your posture upright with your shoulders back and your head held high. Stand tall and take up space. When seated: put both feet flat on the floor, widening your arms away from your body. Sit up straight with a tall spine and relaxed shoulders. To learn more about this research, watch Amy Cuddy on the Ted Talks website or YouTube. I am able to survive without java or vino for 36 hours. Snacking for stamina becomes stimulating when you try new interesting flavour combinations such as salty anchovies and sweet dates. Sitting still and breathing deeply is a powerful mindfulness practice. Long walks are sometimes better than fast runs. Nature is not silent. Baboons, frogs and hippos can make quite a cacophony. Water is a wonderfully soothing medium in which to activate, even if wading through a stream at ankle level. Powernaps are powerful. You can read how to do this in our FAB Quotient™ book. Cavewomen must’ve also enjoyed making and playing with fire as much as cavemen. The faster we move, think, work; the slower we need to rest, breathe, play. Our ego resists that which may bring us the most transformation. This moment, not just now or soon, is all we have control over. I am enough. Even when I have nothing to, no one to visit, nothing to complete, no emails to respond to. Even a lovely life can be heavy and there is bliss of existence that is only revealed without the heaviness of our identity. The stress response (fight – flight – freeze) lingers in humans, not in monkeys, lizards or giraffes. Sunsets are nature’s agents of change – nothing is the same after them. Chirping birds make everything okay. Notice the birds whenever you can. I can survive (albeit barely) without whatsapp. Forgiveness of others, and self, is easier in moments of peaceful solitude. Imagination is more powerful than intelligence (or reality). Use it to your advantage! We’re not talking about being on the couch all weekend watching TV because of your long and stressful week. 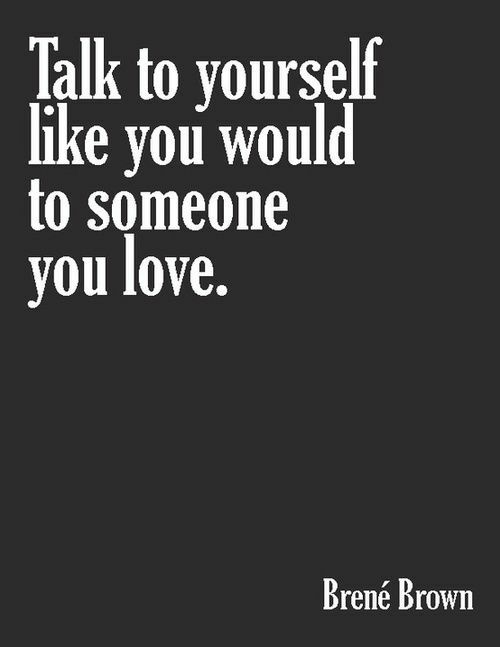 That would be self-indulgence or self-pity. 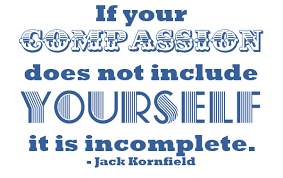 Self-compassion, simply put, is treating yourself with the utmost kindness, care and consideration. A way to rejuvenate yourself. Having compassion for yourself is not very different to having compassion for others. It seems natural and appropriate to spend time, energy and patience caring for others, and being accepting and forgiving when needed. However, with the fast pace of life, it’s easy to be on autopilot a lot of the time. We get caught up with constantly needing to be on the move. With our many distractions, we lose sight of our souls, which need to be nurtured and loved. Being self-compassionate takes awareness and self-observation. Compassion towards yourself enables you be less reactive, and therefore in a better frame of mind to make different choices. Choices that are right for you at any particular point in time. It is a force for growth, change and ultimately, greater happiness. Being mindfully connected to yourself is going to open you up to sensing the vast array of feelings that drive your thoughts and mobilise you … in other words, motivate your behaviour. Do you need to find ways to become less fettered and constrained by your self-defeating thoughts? If so, this article is for you. There are times when we feel inadequate, worthless, or that we have failed. It is necessary to acknowledge and own the words and actions that go with this. However, we also need to be mindful of not beating ourselves up or slipping into victim mode. Watch the words that you use to label or chastise yourself, and rather choose to balance these words with positive words that acknowledge and recognise your strengths. Dr John Cacioppo of the University of Chicago has shown what he calls the negativity bias of the brain. Our brains have a built-in partiality to negative comments and that’s why we often remember insults and criticism for years after they have been levelled at us. How many positives off-set a negative? The research varies between two and five positive words needed for every negative label you give yourself. Whatever number you pick, it’s a good idea to focus on increasing your vocab of positive words and hence the way you describe your thoughts, feelings and actions. Recognition is a powerful and exceptionally motivating force. Give yourself some realistic, authentic and positive recognition. For most people this positive orientation requires enormous thought, practise and effort. Try it and get more balance in the feedback you give yourself. We need to be proactive and look at our lifestyles and diaries and decide how and in what way we will plan acts of kindness for ourselves. Don’t wait to only do something when you are physically run down and exhausted and have either overslept, or are battling to drag your body out of bed in the morning. Catching up on much needed sleep is certainly being kind to your body. This is, however, merely a consequence of being sleep-deprived. Acts of self-kindness may take planning. For example book that massage or reflexology appointment or pencil out a pyjama day in your diary, to you stay home and read and watch movies. This is a planned de-clutch day where you don’t have to be in gear, where you don’t set out to specifically achieve anything. Alternatively, a less time-consuming act of kindness could be to stop for a cappuccino on the way to work. Forget about answering your phone messages, or planning your to-do list for the day. An act of kindness and self-compassion could be to simply sip your coffee, relax and daydream. A real and well-deserved treat.